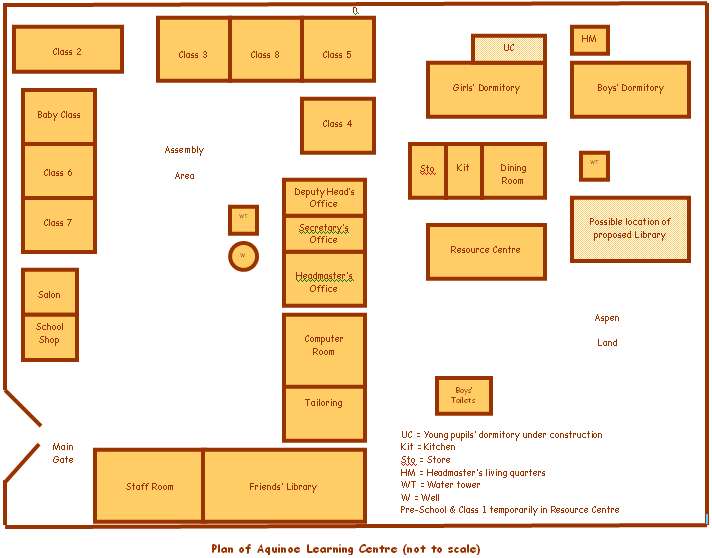 Aquinoe Learning Centre is located on the outskirts of Kitale, on the Kapenguria – Lodwar Road. The town is situated in the west of Kenya, fairly near to Lake Victoria and Mount Elgon, at 4321 metres the second highest mountain in East Africa, after Mount Kilimanjaro. Kitale is a market town, surrounded by small farms. Further west and north are the nomadic Pokot and Turkana tribal areas. The Turkana in particular have been badly ravaged by drought in recent times, including 2006. The school was originally built on one hectare of land, although another tract of adjacent land has recently been bought from neighbours for expansion. It is one of the few inclusive schools in the country, i.e. all pupils are treated in a similar way, and those with a disability can participate in mainstream classes. 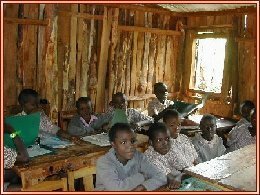 Kitale has a few Government schools, but there is also a need for “private” schools. This does not have the same meaning as it does in the U.K. 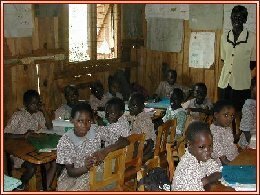 The parents are charged a small fee for children to go to the school, but since many parents are too poor to find the money, there are children who attend without paying. 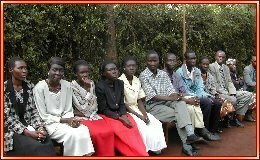 Several of these pupils are sponsored through the charity. The reason why parents often prefer private schools is because the government schools are overcrowded and there are few teachers. Sometimes the ratio of pupils to teachers may be sixty, seventy or eighty to one. Following the trustees’ visit to Kenya in May 2010, they have drawn a plan of the school to give an indication of the relative position of buildings in the compound. The Director of the school is Josphat Shaduma. Josphat was trained as a primary school teacher in Kenya before studying for a Diploma in Special Educational Needs, specialising in Visual Impairment. He was then sponsored to study for a Bachelor of Philosophy at Birmingham University (U.K.) and a Master of Philosophy in Oslo (Norway), both in Special Educational Needs. He was very interested in the inclusive education system in the U.K. which is different from the system in Kenya, where children with disabilities are usually either educated at special schools or not educated at all. He decided that he would try to open a school with the same inclusive ideals, valuing every child, no matter whether they had a disability or not. The school opened in 1998. Josphat works at the Maseno University in Kisumu, on Lake Victoria, but often travels over the dirt roads to Kitale at weekends to meet the head teacher or other staff and oversee operations.